1. Slice the fruit in long 5 mm thick slices and stack in alternating layers. 2. 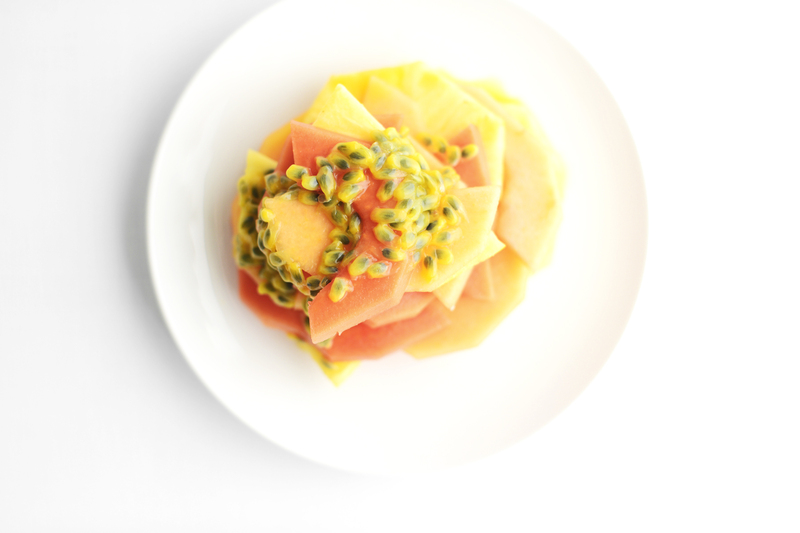 Halve the passionfruit and scoop pulp over the top. Serve with coconut yoghurt, if desired.